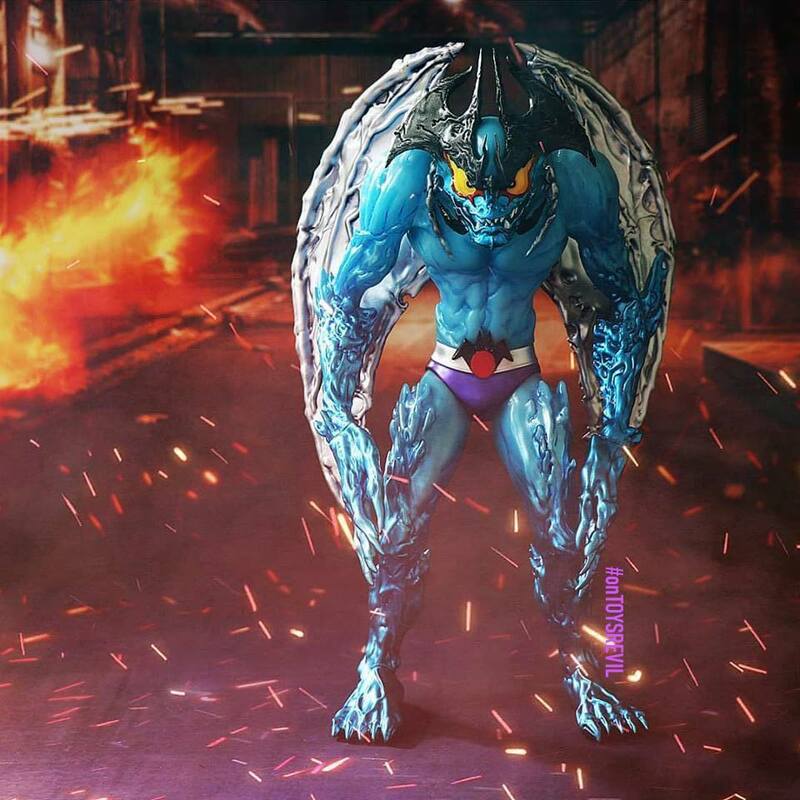 "DEVILMAN VS MAZINGER-Z special event release": Mike Sutfin's DEVILMAN (12-inches tall vinyl figure) with Unbox Industries will see a Metallic GID Edition to be released exclusively from Hakabanogaro West (Osaka City) from February 5th to March 4th (11:00am~8:00pm). No current news for online availability, which you'll have to stay tuned to Insta @unboxindustries for updates. SUPER7 PRESS: "SLAAAAYEER!! The official Super7 x Slayer - Show No Mercy Minotaur ReAction Figure! 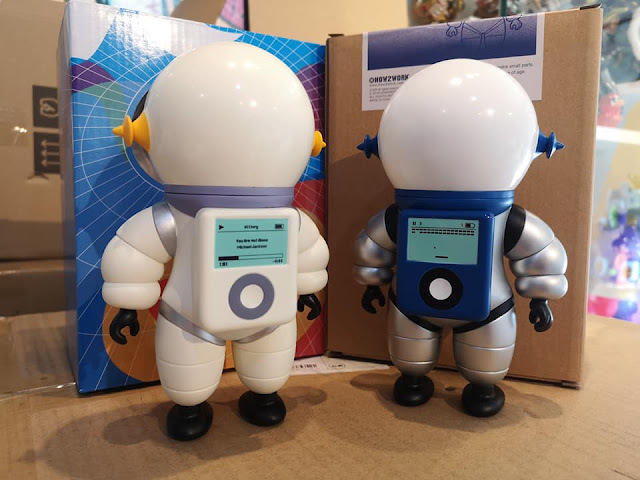 The iconic creature from the band's 1983 debut album cover comes to life in 3.75-inch form! 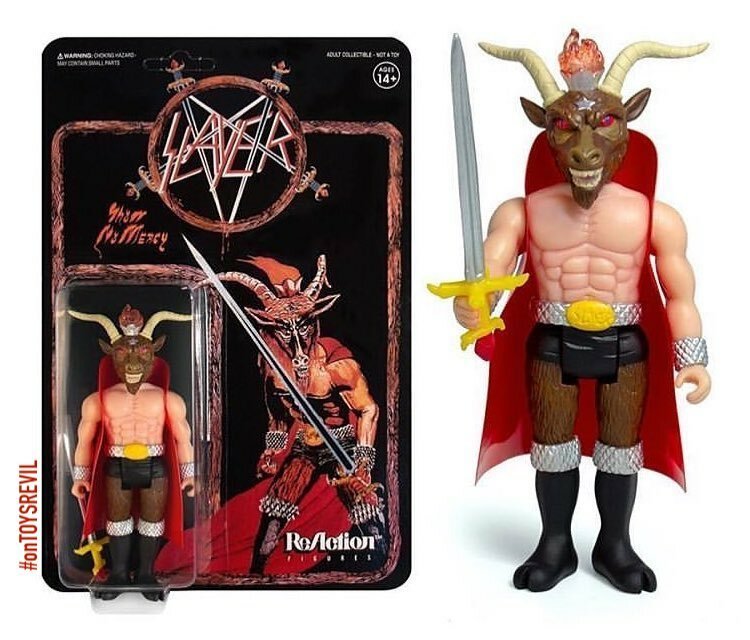 The Slayer ReAction Figure will be available online in the Super7 webstore and at the Super7 stores in San Francisco and San Diego next Wednesday (February 13th)." 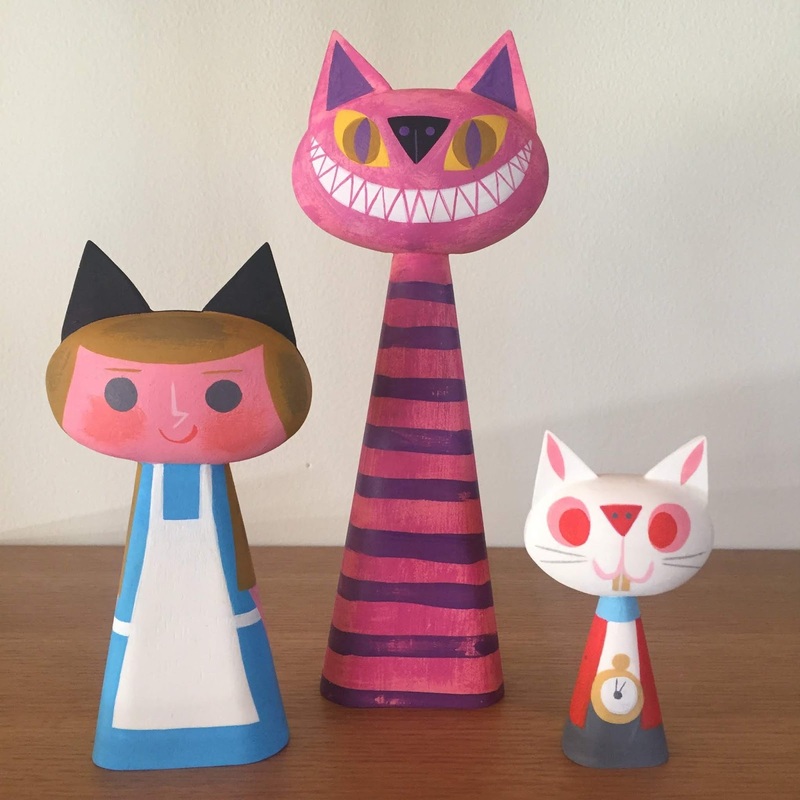 Amanda Visell x Michelle Valigura (AKA "AVMV") has a new version of the sold out Cat Bust Trio line, currently listed online for sale at US$350 per set. The "Wonderland Cat Bust Trio" will be limited to 10 pieces, this hand made resin figure set features the Cat-figures stand about 10, 7 and 4.5 inches tall. The first test pull for Paulus Hyu x Kurobokan's "MORA" (Previously featured HERE - sculpted by SeriouslysillyK) showcases a stupendously looking blue on pink marbled beast! Further updates via @paulushyu or @kurobokan. 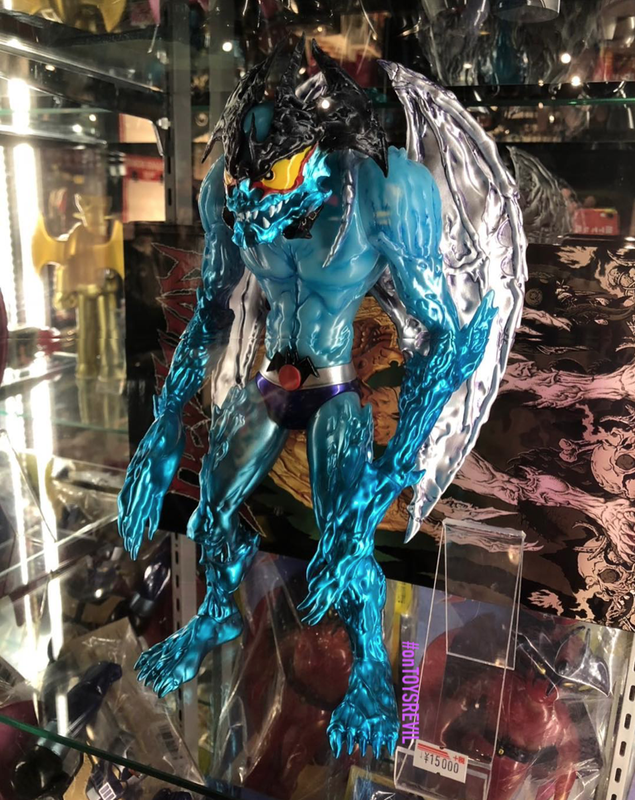 Here's a advanced peek at "Hell Ride" hand-painted by Marvel Okinawa for eventual release from Blackbook Toy - featuring their SKUM-kun character riding BBT's new upcoming brand new sofubi! RED WILDGIRL VERONICA & CHOUCHOU & Special 5x7 signed print from Gary Baseman now available garybaseman.com - with this "Webstore Exclusive" release targeted for a Valentine’s Day gifting option! 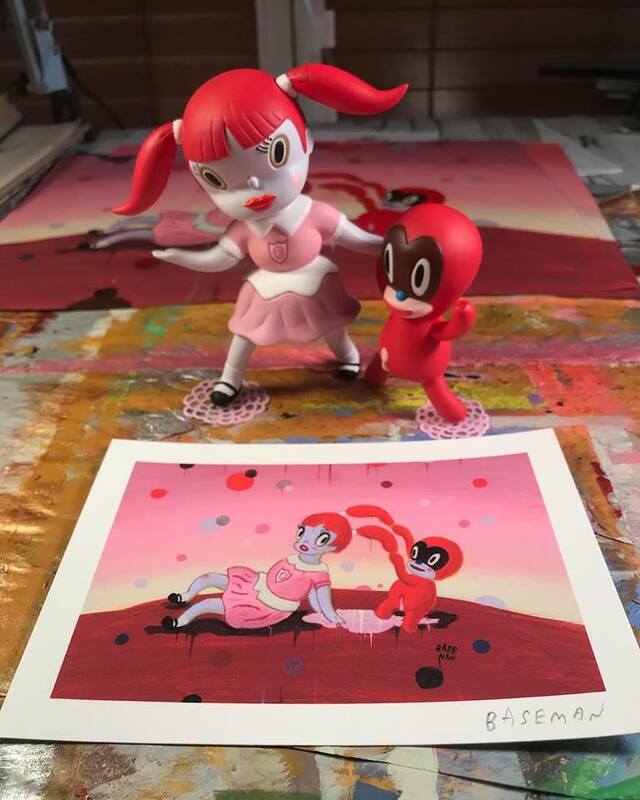 "WildGirl Veronica and ChouChou" is produced by 3D Retro, and has seen various colorways released, each with different "wild girls". 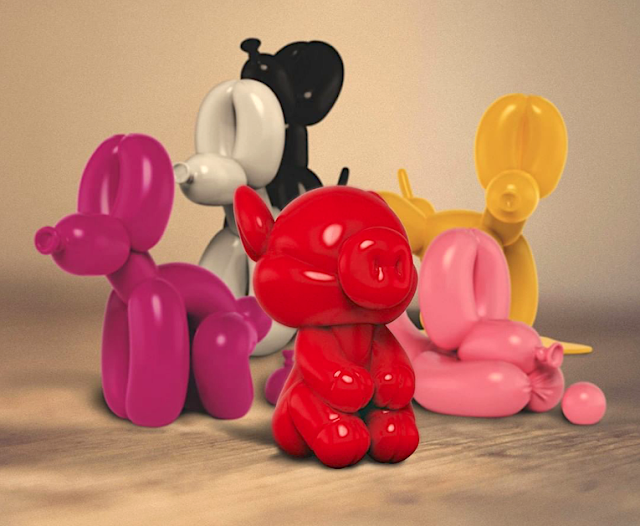 U.K. artist Whatshisname adds new "balloon animal" to his "World of POPIKI", with the reveal of "PIGpek" - releasing this Saturday, 9 Feb at 9am ET at mightyjaxx.com, with this 8" tall vinyl collectible priced at US$129 per (Quantity info pending). 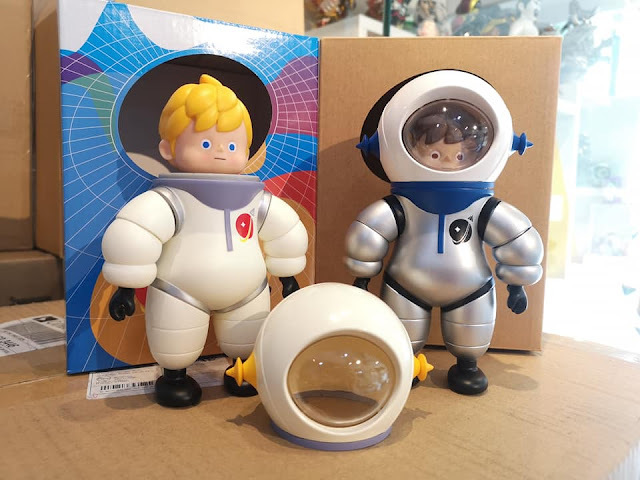 Witness the "Rising Sun" Edition of TEQ63 from QUICCS x Martian Toys, with this 100-pcs run vinyl toy exclusive to and up for grabs via IamRetro.com, dropping Friday February 8th at 12pm NYC / 9am LA time. Price pending ... Dropping alongside will be the previously featured "HX-TEQ" (designed by Spanish artist - @hxstudio) at MartianToys.com ... AND don't forget Quiccs' will be having another drop with Kidrobot with HelloKitty TEQ earlier that day at 10am via Kidrobot.com!